Things are tense in this conversation between club owner Stu Kirchoff (John Ratzenberger, left) and D.B. 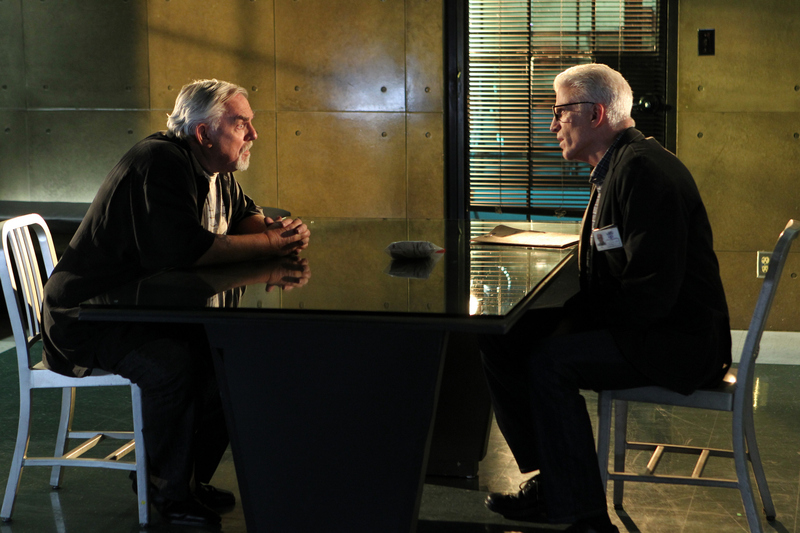 Russell (Ted Danson) as questions need to be answered about a fire at his club, on CSI: CRIME SCENE INVESTIGATION, Wednesday, Oct. 9 (10:00-11:00 PM, ET/PT) on the CBS Television Network. Photo: Monty Brinton/CBS ©2013 CBS Broadcasting, Inc. All Rights Reserved.